The 2019 Chevrolet Equinox is a multi-personality compact crossover, offering features, economy, towing and pricing that's hard to beat. Our new team member Ally Sabath took the 2018 Chevrolet Equinox on a roadtrip to Nashville for the CMA Music Festival. 2018 Chevrolet Equinox vs. 2017 Jeep Cherokee: Which Is Better? Comparing two of the best-selling American-brand compact crossovers: the redesigned 2018 Chevrolet Equinox and 2017 Jeep Cherokee. Offering the connectivity of OnStar 4G LTE with a built-in Wi-Fi hotspot, the 5-seat 2015 Chevrolet Equinox is GM's best-selling SUV. We picked five American routes and five American cars well suited for each trip. Let's hit the road! For the late-to-arrive Equinox to compete in the tough 5-passenger crossover category, which is defined by automakers such as Honda and Toyota, it would need more refinement and style, plus better fuel economy. 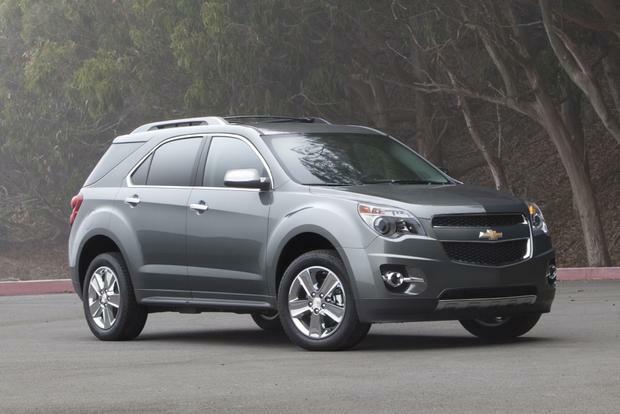 Now in its second generation, the 2015 Chevrolet Equinox has certainly come a long way. 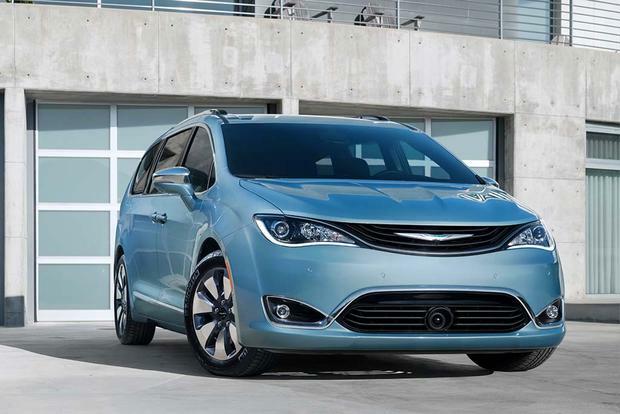 It's a true competitor within a highly competitive class of vehicles. Besides the Honda CR-V and the Toyota RAV4, the Equinox has to contend with capable small crossovers such as the Ford Escape, the Subaru Forester and the Mazda CX-5. Alongside its GMC counterpart, the Terrain, the Equinox is well rounded with equal strengths in quality, functionality and drivability. This sets it apart from competitors that excel only in certain areas. With the Equinox, you get a jack-of-all-trades vehicle but, as the rest of the saying goes, a master of none. For a family-centric people mover, that can be a good thing. The Equinox sees only minor changes for 2015, including the addition of GM's new OnStar system with 4G LTE capabilities and a Wi-Fi hot spot. 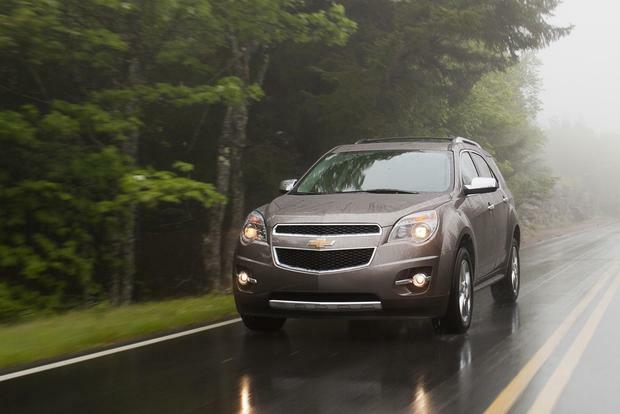 Drivers can get the 2015 Chevrolet Equinox with one of two engine choices. Standard is a 2.4-liter 4-cylinder that makes a sufficient 182 horsepower and 172 lb-ft of torque. It sends power through a 6-speed automatic transmission. Environmental Protection Agency-estimated fuel economy is 22 mpg city and 32 mpg highway with front-wheel drive and 20 mpg city/29 mpg hwy with all-wheel drive. An optional 3.6-liter V6 is available for all trim levels except the base LS. It's a muscular engine, putting out 301 horsepower and 272 lb-ft -- a major gain over the Equinox's old 3.0-liter V6. V6-powered Equinox models are rated at 17 mpg city and 24 mpg highway with front-wheel drive, while that rating falls to 16 mpg city and 23 mpg highway with all-wheel drive. 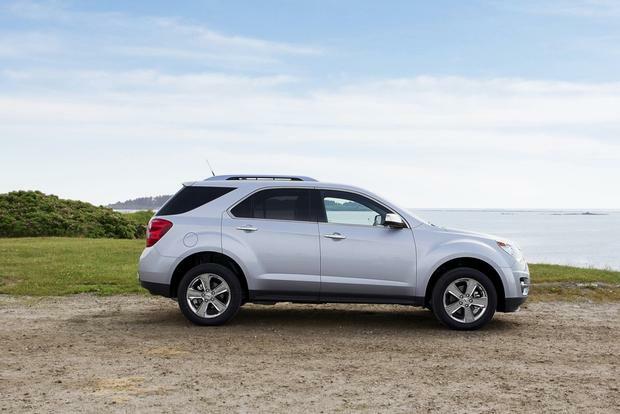 The Equinox is offered in three trim levels: base-level LS, midlevel LT and upscale LTZ. The LS ($25,200) includes 17-inch alloy wheels, Bluetooth, keyless entry, OnStar, cruise control and a 60/40-split folding rear seat. An auxiliary input jack and a USB/iPod interface are also standard. Upgraded LT models ($27,000) boast several big additions, including a standard rearview camera, a 7-in center-mounted touchscreen with Chevrolet's MyLink interface, Bluetooth audio and voice control for the infotainment system. The upgraded Equinox 2LT adds automatic climate control, heated front seats and a remote starter. 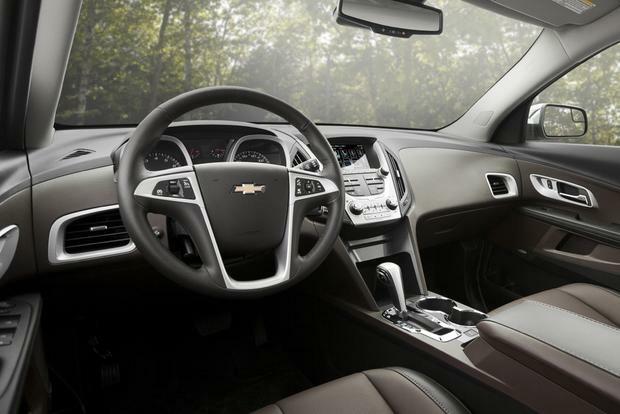 Topping the Equinox range is the leather-trimmed LTZ ($32,800), which boasts chrome 18-in wheels, a power lift gate, rear parking sensors and a power passenger seat. 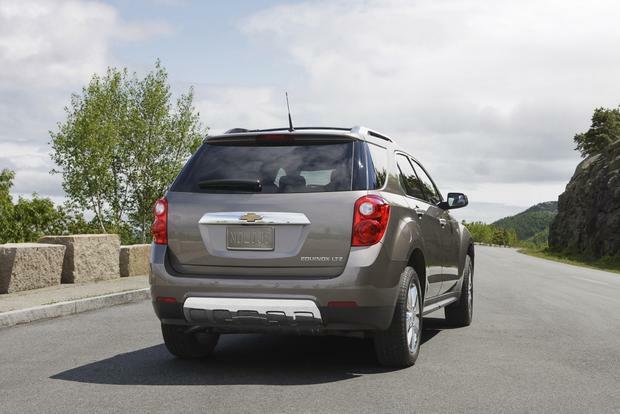 The luxurious Equinox LTZ also includes a lane-departure warning system and a forward-collision-alert system. 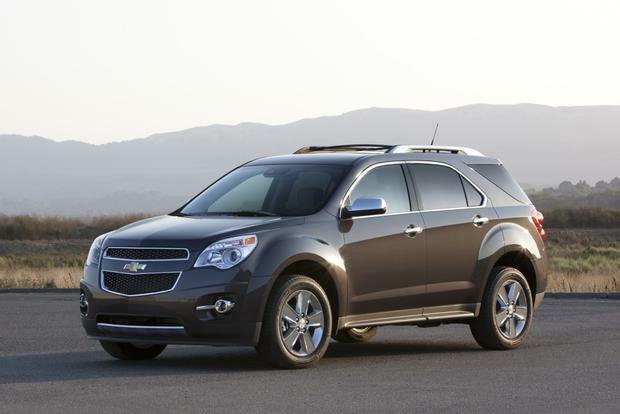 Equinox options include a navigation system, a sunroof, all-wheel drive and the muscular 3.6-liter V6 engine. Besides six airbags, including 2-row head curtains, the Equinox comes armed with OnStar, which can alert emergency personnel in the event of an accident. Also helping the Equinox's passenger-protection equation is anti-lock brakes with brake assist, stability control and traction control. Plus, a range of driver-assistance equipment such as lane-departure warning and forward-collision-alert systems are offered as an option on the 2LT model and included on the LTZ. In National Highway Traffic Safety Administration crash tests, the Equinox earned a 4-star overall rating, composed of a 4-star frontal crash score, a 5-star side-impact score and a 4-star rollover score. In crash tests conducted by the nonprofit Insurance Institute for Highway Safety, the Equinox earned an excellent Top Safety Pick+ score after acing each of the group's tests. Where power is concerned, the 4-cylinder Equinox is adequate for daily driving. This engine operates smooth and without much drama, but it will labor a bit when the Equinox is loaded down with people and/or cargo. With the new V6, the Equinox is much more spirited. It enjoys quick throttle response and very good acceleration. Building up to highway speeds or making an aggressive left-lane pass is also no problem. Handling-wise, however, the Equinox is unexceptional at best. It's not particularly confident in corners, and the steering doesn't feel very well connected. This little compact crossover is by no means a driver's car, but it never promised that, and most buyers in this segment aren't looking for one anyway. What they are looking for is a comfortable and quiet ride for daily commuting and weekend outings with the family -- and that's just what the Equinox delivers. Ford Escape -- The Escape has more high-tech features, such as an automatic parking system and better fuel economy, but it lacks the versatility of a sliding rear seat. The Escape and the Equinox are comparable in overall refinement. 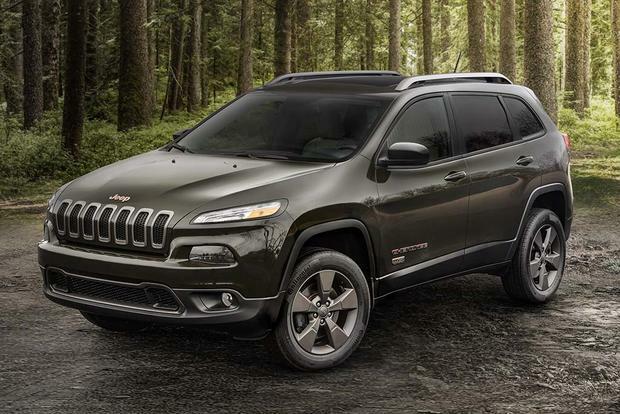 Jeep Cherokee -- The newly redesigned Jeep Cherokee offers impressive refinement, two highly competent powertrains, and a long list of standard and optional equipment. It's one of our favorite smaller SUVs. Mazda CX-5 -- The Mazda CX-5 boasts reasonable pricing and an impressive driving experience, prioritizing nimbleness, equipment and fuel economy above all else. If you don't need a lot of interior space or a high-performance powertrain, it's worth taking a look at. We think the most sensible Equinox is the midrange 2LT model that's powered by the 4-cylinder engine. The 2LT offers the best value of the three available trim levels. It's very well equipped with features such as a standard backup-camera system and an upgraded touchscreen stereo. It can be equipped with MyLink and rear entertainment. Furthermore, the 4-cylinder engine provides adequate power combined with very good fuel economy. Unless you have a 3,000-lb boat to tow, it is a practical choice. For those living in colder climates, we recommend adding all-wheel drive to the package.